During 2015–2016, an El Niño and associated warm water event caused widespread coral bleaching across the equatorial Pacific. Here, we combine 8 yr of benthic monitoring data from permanent photoquadrats with remotely sensed and in situ temperature measurements to assess the impact of the warming event on benthic communities at Palmyra Atoll. We quantified bleaching prevalence across two distinct reef habitats using the best available data. On the fore reef (~ 10 m depth), we quantified bleaching severity within 100–200 m2 large-area plots using the custom visualization and analysis software, Viscore. On the reef terrace (~ 5 m depth), we used 95 focal colonies across three species that have been monitored annually since 2014. The 2015–2016 warm water event was the most extreme such event recorded on Palmyra in the past several decades with a maximum cumulative heat stress (degree heating weeks) of 11.9 °C-weeks. 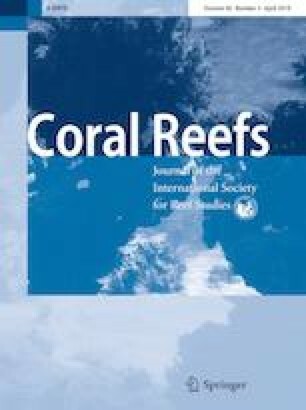 On the fore reef, 90% of live coral cover exhibited some degree of bleaching (32% severe bleaching). On the shallow reef terrace, bleaching was observed in 93% of the focal colonies across all species. 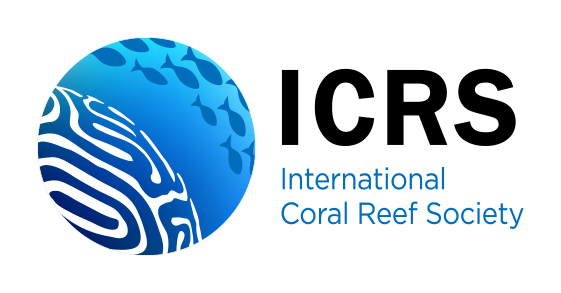 Overall, coral cover declined 9% on the fore reef from 2014 to 2017, whereas coral cover did not change on the terrace. These contrasting results may be associated with typical daily temperature ranges on the terrace that are three times greater than on the fore reef. Permanent photoquadrats showed that turf algae initially colonized skeletons of recently dead corals but transitioned to crustose coralline algae within a year. Collectively, our study emphasizes that comprehensive monitoring of benthic communities over time combined with in situ temperature data can provide taxonomically precise trajectories of community change during and following thermal stress. The online version of this article ( https://doi.org/10.1007/s00338-019-01796-7) contains supplementary material, which is available to authorized users. We thank The Nature Conservancy, the US Fish and Wildlife Service and the Palmyra Atoll Research Consortium, for logistical support and access to the refuge. This research was conducted under special use permits #12533-14016 and #12533-14012. Funding to support field work was provided by NSF CRI-OA-1316047, NFWF #0302.16.053589 and generous donations from the Scripps Family Foundation, and the Bohn and Grand families. MF was supported by a NOAA Nancy Foster Scholarship.